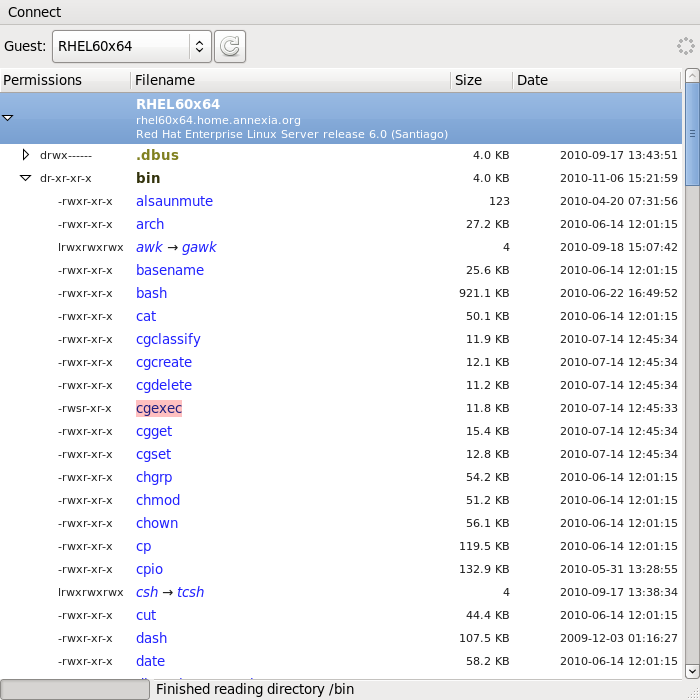 The Guest Filesystem Browser lets you browse inside the filesystems of virtual machines and disk images using a simple graphical interface. This package delivers some of the features of libguestfs and guestfish to users who don't want to use the command line. Although this is currently more of a prototype than a final program, you can already use it to browse into Linux and Windows guests, browse the Windows registry, download files and directories, export .reg files and more. See this directory for all downloads. The program is licensed under the terms of the GNU General Public License version 2 or later.